How to Build A Successful App User Acquisition Strategy? Every developer creates a mobile app with intentions of having as many downloads as possible. As such, the work of an app doesn’t end with creating a user-friendly app alone. Developers have to put in efforts to market their apps amidst the rising competition. That is why there is need to have a mobile app user acquisition strategy. A successful app user acquisition strategy will create a large audience for your app hence increasing downloads.lt is not always easy to build an acquisition that will guarantee long-term success. You may be required to start developing a strategy even before you launch your app. This way, you increase your chances of success. 1. How is User Acquisition Measured? Cost per install (CPI) – This is where charges are applied to advertisers only when users install the app. Cost per acquisition (CPA) – This is the amount an advertiser spends to get high-value users who take part in post-install activities. Return on Investment (ROI) – Involves the returns you get from the users of your app. These returns come from purchases and other activities done in the app. Customer acquisition cost (CAC) – It is obtained by dividing the cost of acquiring customers by the total customers. For a more detailed breakdown of the different KPIs to measure at each stage of your app’s lifecycle, we strongly recommend Appsee’s comprehensive KPI handbook for mobile apps – you can download it here. There are various user acquisition strategies that one can use. Different strategies work for different people. To make your mobile app marketing plan more effective, try different things and try to be creative by mixing them up to see what works best for you. User acquisition strategies that mobile marketers use fall into two main categories. The first category is the use of organic channels whereas the other involves using paid marketing. ASO is the acronym for App Store Optimization. It involves setting up your app to make it rank high on App store rankings. This way, users can see it easily when they search on Google app store. App store optimization can be divided into two groups. These are search optimization and appeal optimization. Search optimization involves mobile app marketing strategies that make your app rank top of App store ranking algorithm. One of the essential factor to consider in search optimization is the use of keywords. Using Keywords in strategic places like titles and the app description makes your app appear whenever users search for that keyword. Keyword stuffing should be avoided as it can hurt your app ranking hence your user acquisition. Appeal optimization, on the other hand, entails features that makes your app appealing to users. These can include the appearance of icons and screenshots. Additionally, appeal optimization involves the value of your app to the users. You can also localize your app to make it user-friendly. Localized apps provide users with a chance to use them with a language they understand better. Such apps are more popular than those that are not localized. Your website can act as a great source of app installs. You can build a mobile website where you can share details of your app. You can post videos describing how your app works as well as its importance. You can also upload screenshots and use tools like smart banners to link your website to App store where users can download your app. This is an easy way for people to access your app. Driving your website traffic to your app is also an efficient and effective way of increasing your native app users. A good website also increases your brand awareness. People tend to trust a brand with great visibility. Linking your app to your website enhances your app’s trustworthiness. This increases the number of user acquisition. Social media plays a significant part in app user acquisition. It offers a good platform to increase the visibility of your app. Social media platforms give you the chance to learn about the prospective users while you market your app. You can share information about your application on these platforms. The best way to increase your app users is to make sure you post regularly. Your posts should offer a balance between entertaining and giving information about your app. You can do this by analyzing what your audience likes. Engaging your followers on comments will also help you to understand their preferences. You should also share testimonies of users and all entertaining content shared by your followers pertaining your app. This will encourage people to use the app. By joining related groups and pages you get a chance to learn about other opportunities you can use to market your app. You can also share links to your app using trending hashtags. Such strategies can make your content reach a very wide network. This will also translate to an increase in your app visibility hence increased app installs. Content marketing allows you to reach a large audience and share information about your app. You can describe your app, and convince readers that its beneficial to them. The secret to great content marketing is to understand your audience and their concerns. Understanding your audience will enable you to tailor your content to meet their needs. This way, the content will be addressing them directly. People like reading content that directly speaks to them. Be sure to share content that is related to your app. You do not have to make your content look like its directly marketing your app. With this, you can be sure of getting a large audience and an increased user acquisition. It is essential to understand the best platforms to share your content. These platforms can be Buzzfeed, StumbleUpon, and Facebook. You could also create your own blog to increase your user acquisition. Most users look at the reviews and ratings of an app before downloading it. Reviews paint a picture of what new users ought to expect from an app. It is therefore important to have as many reviews and ratings as possible for your app to increase app user acquisition. It is also important to set a feedback section where users can give their opinions about your app before they can leave their reviews. The reviews should also be positive, and the ratings good. You can increase ratings and reviews for your app by doing a number of things. Do you strive for more organic app downloads? Check out a beginner’s guide on App Store Optimization and how to drive mobile app downloads using ASO? Social media has become an integral part of our lives. As of 2017, there were over 2 billion social media users in the world, and this number is expected to grow each year. 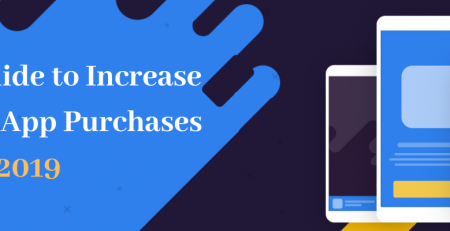 This makes social media Ads an effective channel of acquiring app users. Some of the best platforms to consider for your app ads are Facebook, Twitter, and Instagram. Twitter allows few characters, so you should make sure your app ads are precise and straight to the point. They should also contain the link directing users to download your app from app store. Instagram, on the other hand, allows ads in form of images. 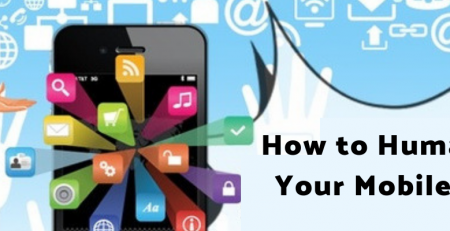 There are various ways to set up your app ads on social media to attract more users. Your social media ads should be authentic, contextual and useful to the users. Online Ad networks connect marketers to prospective customers. You can take advantage of such mobile app marketing platforms to acquire more users for your app. Some common Ad networks include AdMob, Media.Net, StartApp just to name a few. Sometimes people can visit your website but fail to download your app. Retargeting is a type of advertising that can help you re-engage with such users. Retargeting uses a cookie on every visitor’s browser to determine the ads to show them depending on their browsing history. Retargeting ads can help persuade a person to download your app because they are more personalized. The following are some tips to help you create an effective retargeting app ad that will increase user acquisition. Use visually appealing and convincing messages. Automate the process to remove the users who have downloaded the app. Utilize deep links to help users return directly to your app. This increases the chances of downloads. To Measure User Acquisition When measuring the performance of your mobile app marketing it is imperative to understand which metrics are important. Using the essential metrics will help you to correctly measure the success of your app. Performance metrics will also help you understand the users’ experiences with your app. This way you will be in a position to improve your strategies to enhance your app user acquisition. Below are the essential metrics to track. Retention refers to the number of users who come back after the first download. A successful app should be able to attract users into using it again. Retention of an app can be measured using different methods. The commonly used method is measuring the number of returning users on a particular day and then dividing it by the number of users who installed on the first day. This is the revenue a user brings to your app. 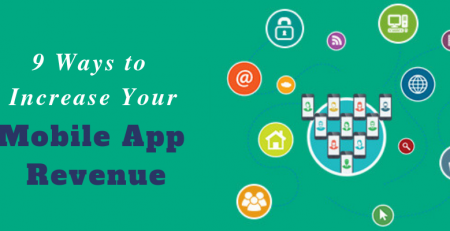 It is an essential metric that shows the monetary value of your app in relation to the estimated value of every user. With LTV, you can correctly measure your app user acquisition. Acquisition This metric tells you the total number of people downloading your app through the different app user acquisition strategies. With acquisition metric, you can be able to calculate the money you spend to get users. It can also help you know what the users do in your app. This way you can be able to tell the channels with the best conversion rate. It is the amount of money you pay to get a new user. This metric can tell how you acquired that user and how they use your app. This is important in gauging the mobile app marketing campaign that is more profitable. The best marketing campaign gives you users with a lower customer acquisition cots but high lifetime value. This metric gives you the average earnings for every user for a given month. It can be obtained by taking total earnings for your app for a particular month then dividing it by the total number of users. If your ARPU is more than your Customer Acquisition Cost then you are making profits. 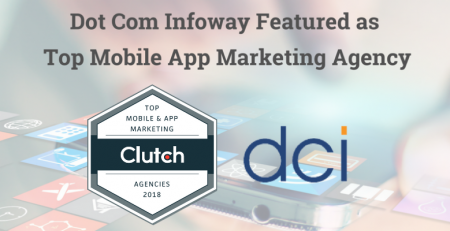 The success of your application relies heavily on the mobile app marketing strategy that you choose. You, therefore, have to get your marketing right. You can try out different strategies and be creative about it The results you get from the user acquisition metrics should be able to tell you what strategy works best for your app. Use it! Also, it is essential to consider the ideas of your users. And be keen on what your competitors are doing. This way, you can be able to come up with the most effective user acquisition strategy.